This treatment is an integral part of the Esthetical Gym, an innovative idea by BodyConcept, to eliminate cellulite, flab, local fat and overweight. 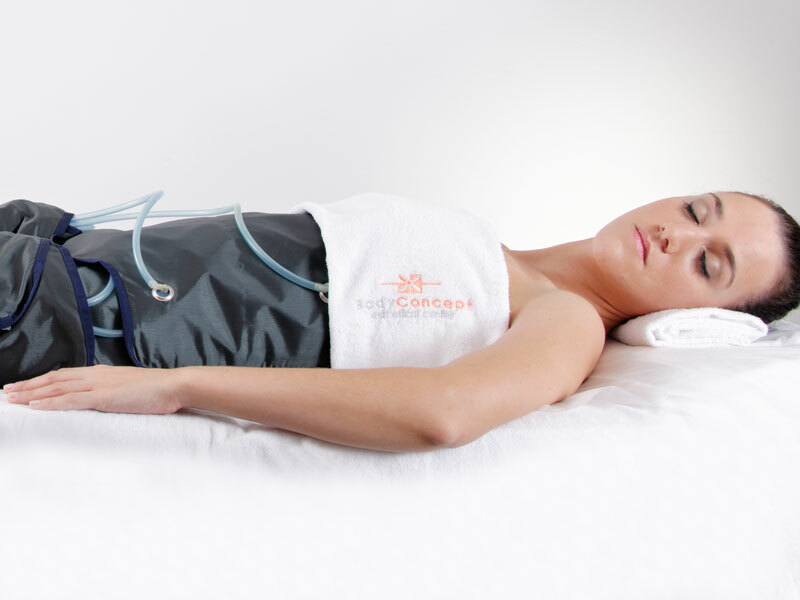 Pressotherapy – or mechanical lymphatic drainage – is a mechanical controlled compression system which promotes the natural process of drainage, through the insufflation of the intermittent air-chambers. By stimulating the venous and lymphatic circulation, this mechanical massage eliminates the toxins existing between the tissues, which cause various problems, such as fluid retention, circulatory problems, cellulite and swelling. Application: the tall boots (legs) and the belt (abdomen) are applied through an equipment that will perform the mechanical massage, through the compression and decompression of air.